Corner Triplex with spacious front & side yard. 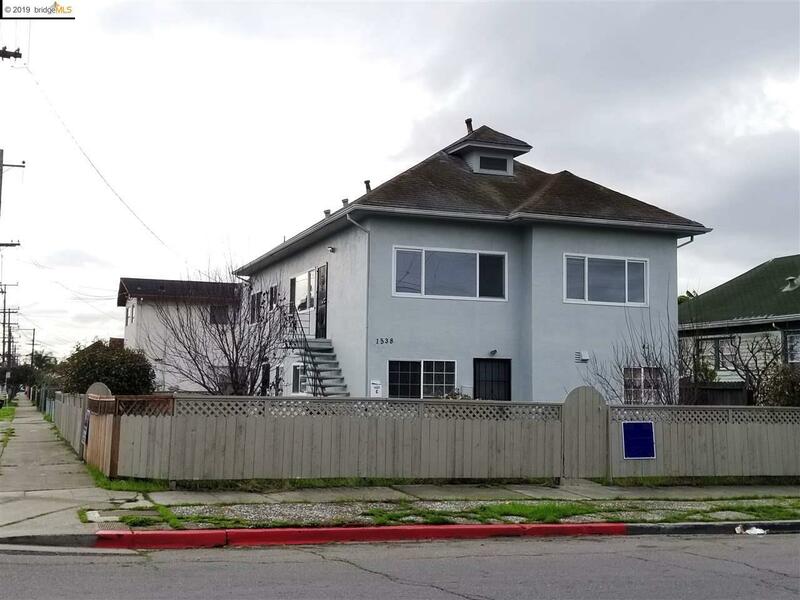 An owners unit with spacious 3 bedrooms, 2 baths, extra room, new kitchen with granite counter tops and new bath, freshly painted, hardwood floors, dual pane windows, and much more. Easy access to public transportation, 580 & 880 freeways. Shows well, great curb appeal & pride of ownership.